WELCOME to Advantage Realty Group, Inc., the premier resource for all real estate information and services from the Triad to Triangle NC area. We hope you enjoy your visit and explore everything our website has to offer, including real estate listings, information for homebuyers and sellers, as well as more About Us, your professional Realtors here at Advantage Realty Group Inc. We are here to serve you throughout all areas of the Triad and Triangle. Our services reach out from greater Greensboro NC, through the Interstate Highway 40/85 corridor to Raleigh-Durham NC and around the world with our relocation services. Our home office, in Mebane NC, is centrally located to all these areas. To better serve our clients and customers, we have a satellite office located in the Elon/Gibsonville NC area. BUYING a home? As your Buyer's Agent, our professionals assist you every step of the way. Click on Quick Search or Map Search to browse an up-to-date database list of all available properties in the area or across the country. Need help fast? Use our Dream Home Finder form and we will conduct a personalized search for you. SELLING your home? Nothing is more important than knowing what your home is worth is today's market. One of our professionals will provide you with a FREE Market Analysis. We will use comparable sold listings and active listings on the market NOW, to help you determine the fair market value of your home. RENTALS Not ready yet!? We offer PROPERTY MANAGEMENT services. Call or email Linda Hagood(lhagood@gmail.com) for details. RELOCATING Moving across the country or across town?! Contact Kathy King (kathyking@triad.rr.com). She is the RELOCATION SPECIALIST you need. Contact her today. BUYERS' AGENCY Bonnie Pride-contact any of these professionals today to get going! No matter what your Real Estate needs, the Professionals with Advantage Realty Group, Inc., work tirelessly to make this your ONE STOP Real Estate Company. We do it all; SERVICE before, during and long after the close. 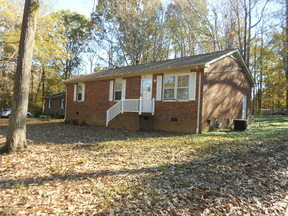 112 Cornwallis Dr. Mebane, NC.